Ensuring the smooth transition of presidential power has been a democratic hallmark of the United States for more than 200 years. In 2015, Congress reinforced the importance of transition planning with the passage of the Presidential Transitions Improvements Act of 2015, which was signed into law in May of 2016. This new law built on the reforms of the Pre-Election Presidential Transition Act of 2010, which provided major party candidates with office space and services immediately following party nomination to ensure continuity of government and to protect the institutions of the United States. 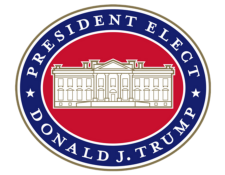 On January 20, 2017, the Trump Administration will be ready to hit the ground running due to the planning and hard work that has been underway since the Conventions.